Our psychologists use a range of evidence-based approaches to support children and young people to manage their difficulties, including Cognitive Behaviour Therapy, Acceptance and Commitment Therapy, skills development, and play-based therapy. Parents are supported through parenting assistance and skills development. In addition to therapy services our psychologists offer cognitive, academic and autism assessments. An occupational therapist can help your child engage in activities that they need, want and are expected to do. Our occupational therapists can undertake a comprehensive assessment to determine the significant performance areas causing these difficulties. This information can be used to set and prioritise goals and be passed on to your teacher, GP, or paediatrician. Our Speech Language Pathologists work closely with you and your child to achieve best outcomes in our complex world of communication. We use a play based model of therapy as children learn and understand best when engaged in things they like and are relevant to their everyday lives. We use individual and group therapy to support your child’s communication development, and we work together with the other therapists, early childhood educators, and teachers to ensure a team approach to your child’s care. We use a number of evidence-based therapy programs and approaches to support your child’s communication development. We offer challenging play based therapy to achieve gross motor goals. We work on posture and gait training, reaching milestones, strength and endurance that all develop confidence in new found skills. The physiotherapist team at the Children’s Therapy Centre is dedicated to helping your child maximise their potential in a fun and interactive way. We work alongside Occupational Therapists and Speech and Language Pathologists to ensure a holistic approach to early development. Physiotherapy will work towards developing gross motor skills and postural control. Our detailed assessment will look at posture, musculoskeletal development, gait, tone, strength, joint range of motion and gross motor skills. Treatment is play based and fun as well as hard work and will strive to develop confidence with new found skills. Our therapists will provide the family with an appropriate home exercise program and necessary tools and equipment if needed. If your child requires any aids or assistive devices, our physio team is skilled to assess individual needs and prescribe appropriately. All our physiotherapists are registered with the Australian Physiotherapy Association and adhere to continuing professional development, to ensure up to date, evidence based treatment practices. We will work with families and carers to ensure the best possible outcome for your child. The Family Services Program is funded by the State Government to provide social support services to the families. Services are provided by the Family Services Coordinator and the Family Services Workers. Families can be seen in the centre or at their home. We also provide school and daycare visits, liaising with educational staff where relevant. The Parent Connect program supports families with young children with a newly diagnosed disability or developmental delay by providing information on how to access specialists and assessments. Parent Connect helps parents better understand what is happening by providing support and some financial assistance to access local assessments and interventions. Families face many challenges when they discover their baby or child has a disability or developmental delay. If the family have a child with a newly diagnosed disability or developmental delay, or are awaiting a diagnosis, the Parent Connect initiative may assist them in navigating the support system and helping them to determine a response that best suits the family. The primary focus of Parent Connect is with parents with a child (0-6) newly diagnosed with a disability or developmental delay or awaiting a diagnosis. 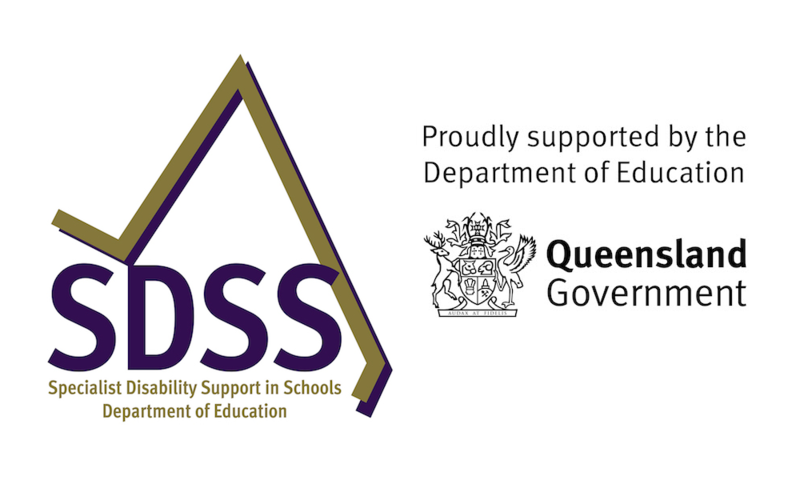 The secondary focus is delivering an early response to parents of children up to the age of 10 with newly acquired or identified disability or developmental delay. To make a referral to the Parent Connect program please call 0408 056 727 or 0408 791211. We provide Allied Health Services to children and young people from birth to 18 years. Our multi-disciplinary team includes experienced Speech Language Pathologists, Occupational Therapists, Physiotherapists, and Psychologists. Our services are available in our specialist centres in Nambour, Kawana and Gympie as well as at home, school, child care, and in the community. In addition to providing therapy, we assist with accessing aids and equipment. Our early childhood supports are consistent with the NDIS Early Childhood Early Intervention (ECEI) approach. This is the national best practice approach to early intervention for children aged from birth to 6 years old. As a Support Coordinator, we help you to negotiate and coordinate your supports. This could include sourcing providers, negotiating how and when supports are provided, and negotiating individual requirements as part of the support management. You may have a plan that says you will get certain supports from your family, others from a local community group and several different supports that are funded by the NDIS. For some people, coordinating all of these different supports may be difficult. In recognition of this, the NDIA has created three different levels of support for people with different levels of need. ‘Support Connection’ is for people who just need a little bit of help to get started with all the supports in their plan. ‘Coordination of Supports’ allows for a little more help than Support Connection. ‘Special Support Coordination’ helps participants with specific high-level difficulties that may impact the implementation of the plan. Subscribe to our newsletter to make sure you don’t miss out! Need more information? Send us an email and we'll get back to you as soon as possible.